Brief Synopsis – Towards the end of World War II, a Nazi officer tries to transport works of art from France to German before the underground can find a way to stop him. My Take on it – This is a film that I’ve been interested in seeing ever since I saw The Monuments Men (2014) a few years back. Both have similar themes and this one seemed as if it would be much more thrilling because it doesn’t involve an overabundance of Hollywood stars working together here. Unfortunately, here too things don’t work as well because the action moves along too slowly and doesn’t allow for the story to gain momentum or even excitement along the way. 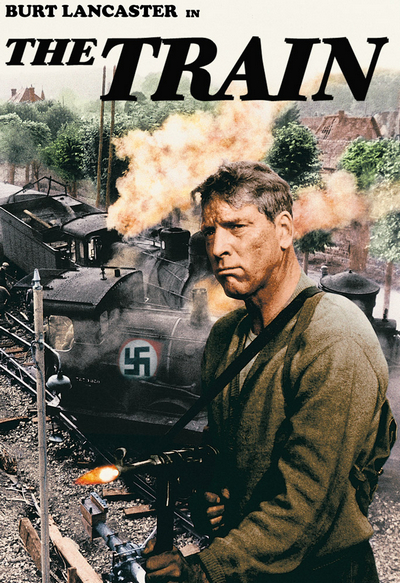 The casting of both Burt Lancaster and Paul Scofield as the two leads was a good decision because they are both very talented actors, but unfortunately neither of them manages to do anything to raise the level of the story. There are a few action scenes that are done really well and are a bit gripping which makes it somewhat worthwhile watching those scenes alone. This film ultimately has much more potential that it gives because it just limps along instead of giving us a strong thrilling story that would be even more enjoyable and entertaining to watch unfold. This film stumbles too much along the way and takes away from great idea that just doesn’t manage to be presented well enough here despite the few action scenes. Bottom Line – Interesting idea that comes across as quite lackluster because it mostly moves along quite slowly and stumbles too often. Lancaster and Scofield are both great actors, but neither of their performances in this film are that great. I like the premise of this film a lot and there was some great potential for a very thrilling film that feels a bit wasted. There are a few great action scenes that are quite thrilling and gripping, but this is overall pretty mediocre.